The 2018 Momentum Health Attakwas Extreme, presented by Biogen, boasts the event’s largest ever start list – with 1 400 intrepid riders signed up to take on the Hell of the South on the 20th of January. 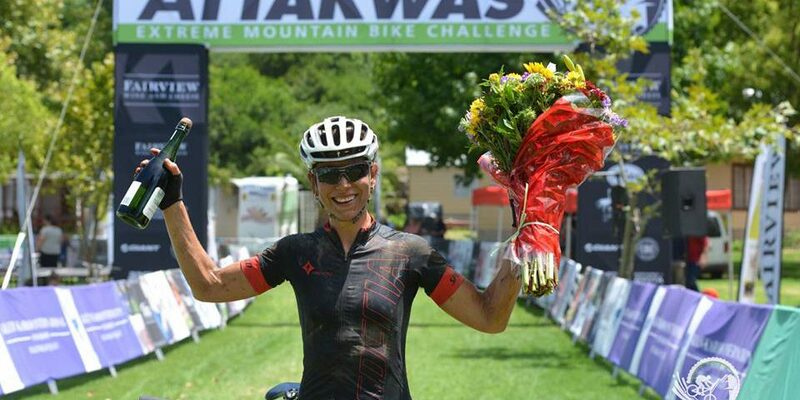 11 of those riders have completed 10 or more traverses of the Attakwaskloof, while 511 individuals are signed up to take on their first Attakwas Extreme. Having staged 11 previous editions Dryland Event Management have witnessed the maturation of the South African mountain biking community, as every year more riders consider themselves up to the task of riding 121 kilometres – through the rugged Klein Karoo, over the imposing Outeniqua Mountains and along the brutally undulating foothills of said mountains – from Chandelier Game Farm to Pine Creek Resort. The technical nature of the first 60km of the route makes a modern full suspension bike the obvious choice, so keep in mind the pioneers back in 2007 who rode on 26er hard tails, with v-brakes. Photo by Oakpics. As the 12th edition rapidly approaches there are 9 riders set to take on their 12th Momentum Health Attakwas Extreme, presented by Biogen. There are also 11 riders set to join the ten times finishers club and a potential 71 new Ratels – as the five time finishers are known. The current group of riders to have completed all 11 events, to date, and who are entered for 2018 are: Noel Whitehead, Richard Muller, Ischen Stopforth, Henry Swart, Corne Swart, CD, du Toit, Paul Micklewood, Ludwig Swanepoel and van Rensburg. While the 10 time finishers entered for this year are: Robert du Preez and Nico van Zyl. The riders seeking to achieve Ratel status in 2018 include Jennie Stenerhag, Richard Scott, Malcolm Isaacs, Max Menzies and, somewhat surprisingly given she completed the inaugural event all those years ago, Yolande de Villiers. 1 400 intrepid riders have signed up to take on the 2018 Momentum Health Attakwas Extreme, presented by Biogen, on Saturday 20 January. Photo by Ewald Sadie. With the clock ticking down rapidly to the start of the Attakwas Extreme the time for physical preparation has expired – but the opportunity for mental preparation remains. Riders nervous about undertaking the Attakwas Extreme challenge are encouraged to read the #AttakwasAdvice article on the event website, www.atta.co.za/attakwas-advice. The article contains all the route, nutrition and pacing advice riders will need to complete the Momentum Health Attakwas Extreme, presented by Biogen. Mountain biking fans will be able to follow the Momentum Health Attakwas Extreme, presented by Biogen, action as it unfolds on the event’s Facebook and Twitter handles, as well as by following @drylandza on Instagram. Don’t forget to have fun out there. Photo by Oakpics. Water point 3, near the half-way mark is made famous by the Spur burgers. If you are expecting a long day on the bike you should strongly consider refuelling with one. Photo by Oakpics.